Welcome to the RHDJapan blog. Here is another first time campaign introducing the Extage series suspension by long time handling specialist KYB. World renowned for great quality shocks and springs the newest lineup puts decades of know how, data and technology to bring a next level driving experience. Available for a select handful of sporty based sedan available as a full set or shocks alone. 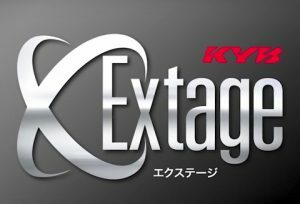 For a limited period of time receive an additional JPY5500 (~10%) discount on any of the Extage listings on the RHDJapan site!